Countdown to baby has begun! I can hardly believe it, but I'm officially 6 weeks out! 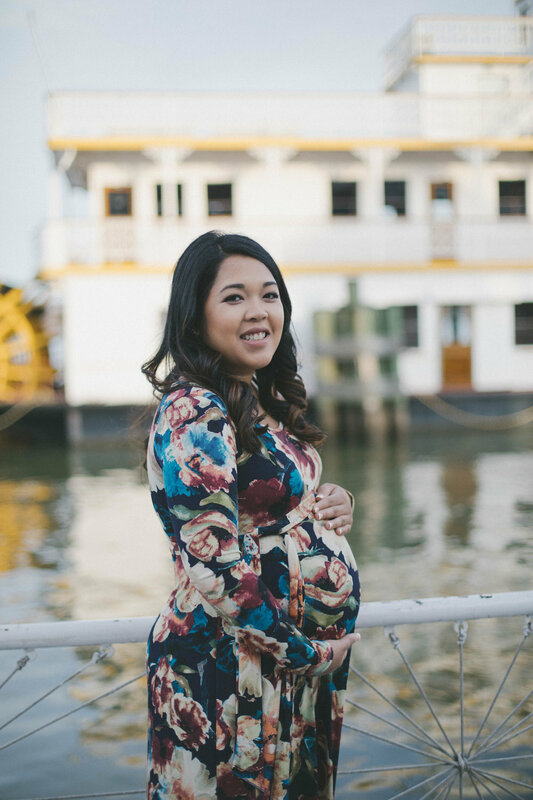 And on that note, I wanted to share some photos from our maternity session last month. I'm so happy with how they turned out! Shout-out to Harmony in Happenstance, a local wedding, engagement and lifestyle photographer here in Washington D.C. It was our first time working with Jess and she was such a joy to work with! 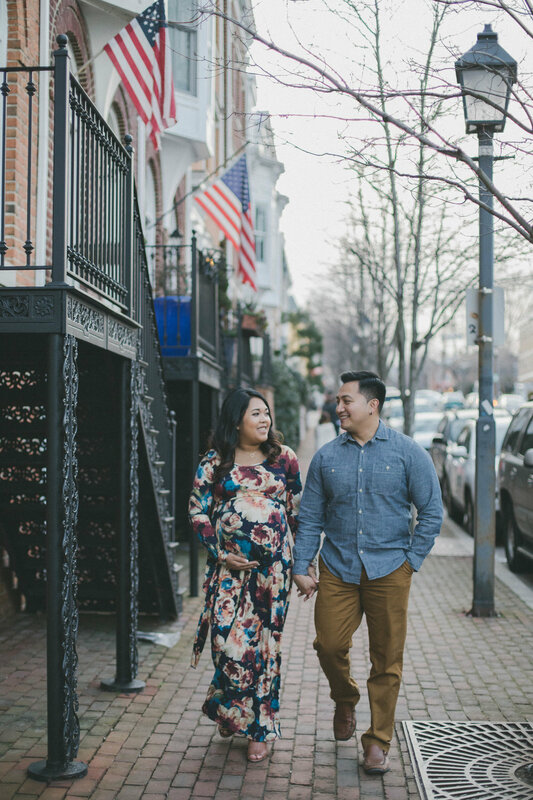 We love her soft and romantic editing style, which worked out so nicely for our shoot in Old Town, Virginia. We also lucked out with beautiful warm weather this day -- (sigh) such a contrast to our current weather here in the DMV. For the shoot, I knew I wanted a long dress. I had been eyeing PinkBlush ever since I found out I was pregnant. 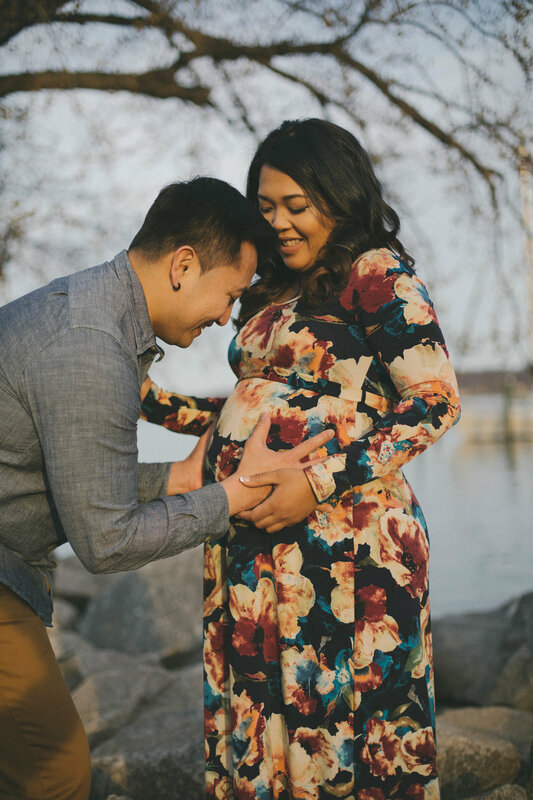 I've seen their beautiful dresses all over Instagram and when I reached out to one of my friends to find out where she got the maxi dress she wore for her maternity photos, she told me it was from PinkBlush and so to the site I went! I found so many beautiful designs, but because I wasn't sure how the fit would be on me, I decided to do a quick search on Amazon to see if I could score Prime Shipping in case I didn't love the dress (do you guys do that before you buy something too? It's a great shopping tip to check out Amazon first!). Because Amazon is the best, quite a number of PinkBlush maxi dresses were in fact available for Prime Shipping. My eyes turned to this beautiful navy blue and burgundy floral print dress, which ended up being perfect for the photos. It went well with our waterfront location and best of all, I felt great in the dress. In case you're wondering what material the dress is, it is 96% polyester and 4% spandex, so super comfortable! As far as sizing goes, PinkBlush dresses come in small, medium, large, XL and plus sizes as well (they also carry non-maternity sizes too). And here's another shopping tip: Zulily offers a lot of deals on PinkBlush apparel, so check them out too! Want to see how I dressed my hubby and stepson? 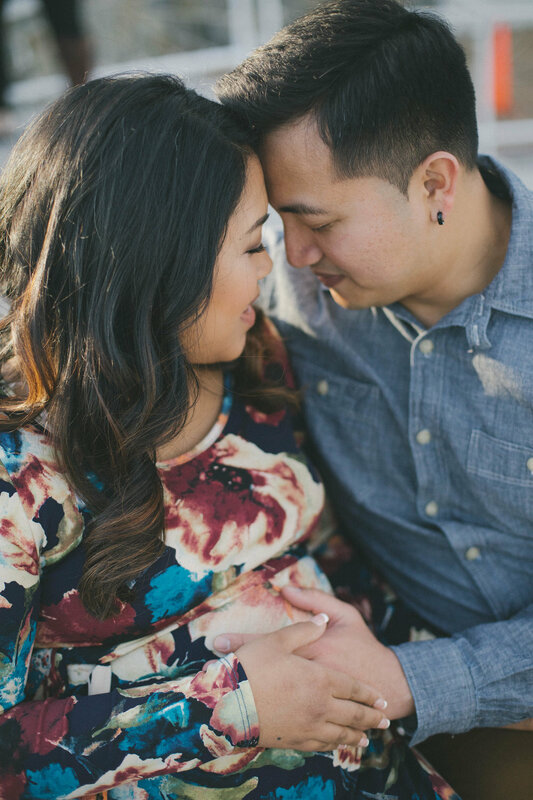 Check out more photos from our maternity session below. I love how we coordinated without being too matchy matchy. Hubby's outfit is from J.Crew Factory (his go-to!) and my stepson's is from Old Navy (our go-to for him!). Click the photo below to scroll through the gallery or visit Harmony in Happenstance for a recap of our session!